3M™. Permanent double-sided universal tape, good resistance to temperatures. Excellent resistance to UV rays. To be applied with 3M ATG700 tape dispenser. 3M™. Permanent double-sided tape, good bonding and shear strength on a wide range of materials, including many plastics. Ideal for assembling similar materials when a strong adhesive with high initial tack is required. Not recommended for exposure to direct sunlight or UV sources. 3M™. Permanent double-sided tape, good bonding and shear strength on a wide range of materials, including many plastics. Ideal for assembling similar materials when a strong adhesive with high initial tack is required. Not recommended for exposure to direct sunlight or UV sources. To be applied with 3M ATG700 tape dispenser. 3M™. Permanent double-sided tape, good initial bonding and shear strength. Suitable for generic applications where a good initial tack, durability and thin adhesive tape is required. 3M™. Permanent double-sided tape, high initial bonding. Excellent resistance to solvents and high temperatures. The adhesion level improves with age. Designed for use in assembling a wide range or similar and dissimilar materials. Suitable for assembling very smooth and thin materials. 3M™. Permanent double-sided tape, high initial bonding. Excellent resistance to solvents and high temperatures. The adhesion level improves with age. Designed for use in assembling a wide range or similar and dissimilar materials. Suitable for assembling rough or very thick surfaces. 3M™. Permanent double-sided tape, good initial bonding and shear strength. Suitable for generic applications where a good initial tack, durability and thin adhesive tape is required. To be applied with 3M ATG700 tape dispenser. 3M™. 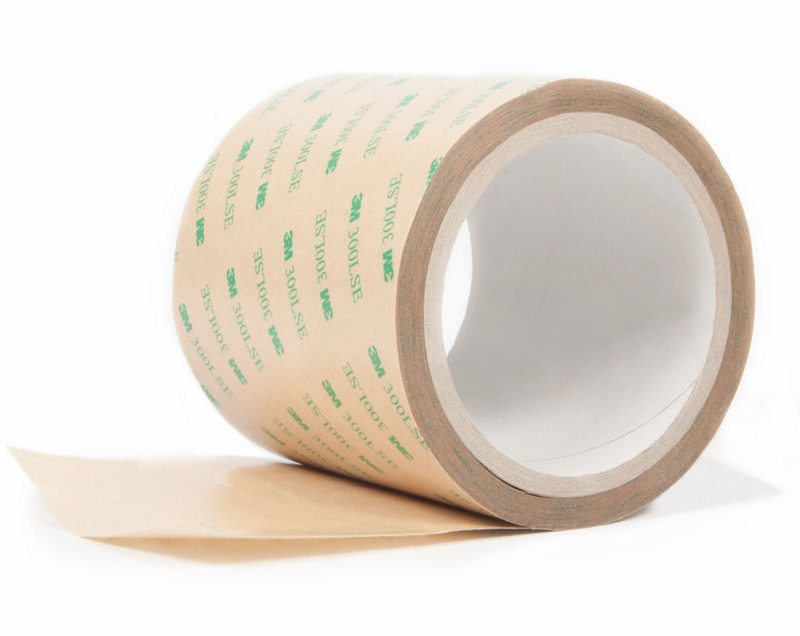 Permanent double-sided tape, high bonding. Suitable for numerous surfaces include LSE (such as polypropylene and powder coating). The adhesive is very smooth and fibre-free for an improved graphic effect. Excellent shear strength even at high temperatures. Permanent double-sided tape, excellent cohesion and good tack. Suitable for laminating expanded materials such as rubber, foam rubber and synthetic rubber (EPDM). Permanent double-sided tape, excellent cohesion and good tack. The polyester mesh prevents the adhesive from spreading. Suitable for laminating expanded materials such as rubber, foam rubber and synthetic rubber (EPDM). Permanent double-sided tape, reinforced with fibreglass. Reasonable mechanical resistance, excellent resistance to temperatures and external agents. Permanent double-sided tape, reinforced with fibreglass. Reasonable mechanical resistance, excellent resistance to temperatures and external agents. To be used with 3M ATG700 tape dispenser.